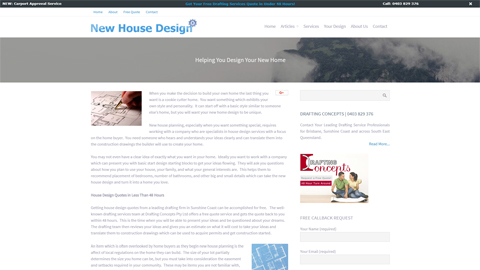 Don't just take our word for it - read some of the testimonies by our always happy clients. 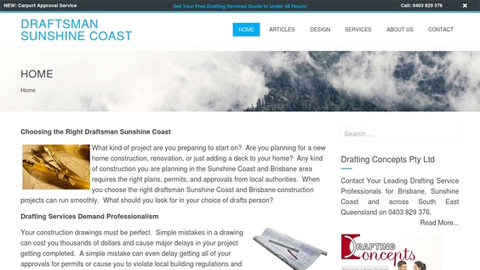 Gold Coast & Sunshine Coast Drafting Services is affiliated with Drafting Concepts Pty Ltd.
Centrally based on the Sunshine Coast servicing areas from the Gold Coast, Brisbane to the Sunshine Coast. 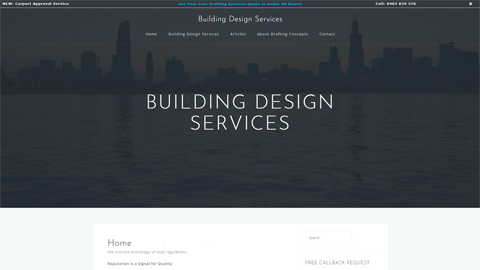 Contact us today for your obligation free same-day quote! "the wise man built his house apon the well selected block..."
A perfectly orientated block in the right area is not the easiest to come by; sometimes it maybe the location or the views that take precedent. If you have a difficult block, or need help picking the right one - talk to us first. You'll be glad you did. So, you want to build your own home? Fantastic! But there's a lot of steps between pondering the concept to pouring the concrete that you should know about - the good thing is, we're here to help. While it may seem like a daunting task at first, our highlly qualified draftsman are here to help. 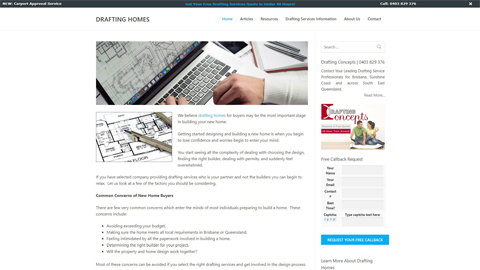 We can take the guess-work out of building your own home - assisting with everything from creating design plans to liasing with engineers, certifiers and even the council. 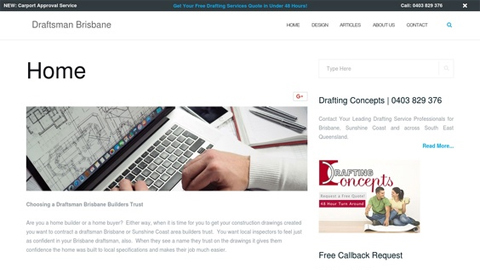 The Team at Drafting Concepts was very flexible when we wanted to change things and easy to contact- always prompt in replying to emails and phone calls. Looking forward to sending pictures of the finished product, thanks Daryl! Please enter contact number ! Please enter valid email address ! 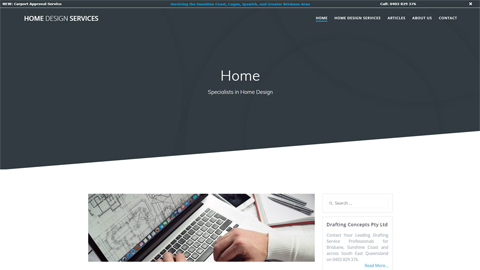 "We would highly recommend Daryl, he was so helpful throughout the drafting process and picked up some potential issues in our design that we were not aware of." Any searches undertaken are non-refundable. 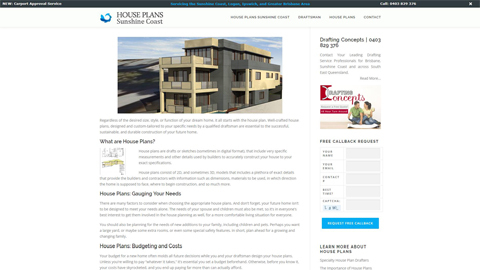 Any plans &/or documents remain the property of Drafting Concepts Pty Ltd & are subject to copyright. A written letter must be supplied outlining any issues and grievances & Drafting Concepts Pty Ltd has the right of reply to resolve such issues. If issues are not resolved to the customers satisfaction, any outstanding money will be refunded. 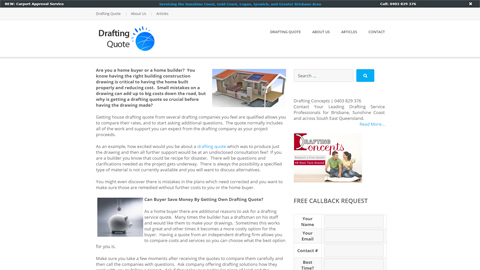 Estimates can only be given over the phone & more detailed information will be required for a quote. 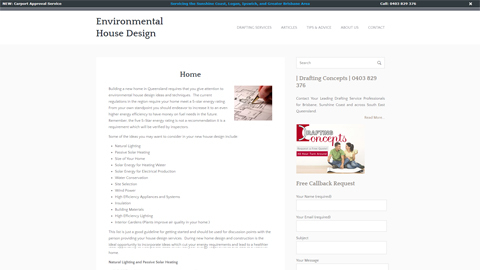 In most cases a site visit is required in order to provide a quote.